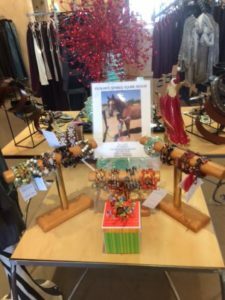 Beading Divas to the Rescue is so very fortunate to have three fabulous locally-owned stores in Tucson that sell our bracelets around town. 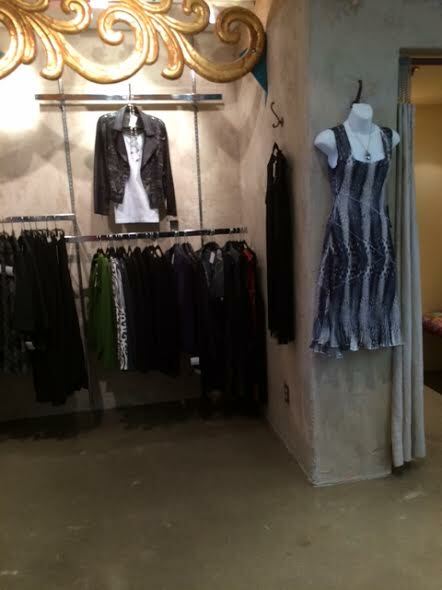 Next time you’re around St. Philips Plaza be sure to stop into AK Jensen as the store has the most beautiful casual and dressy clothes as well as killer accessories. And they have good sales too! What I like about the store is the sales people are knowledgeable and helpful. In most stores, you can’t even find a salesperson. And AK Jensen is kind enough to sell handcrafted one-of-a-kind Beading Divas bracelets (cash or check payable to the charity of the month) for $20. You can also buy bracelets online. Do you have a mystery lover on your shopping list? 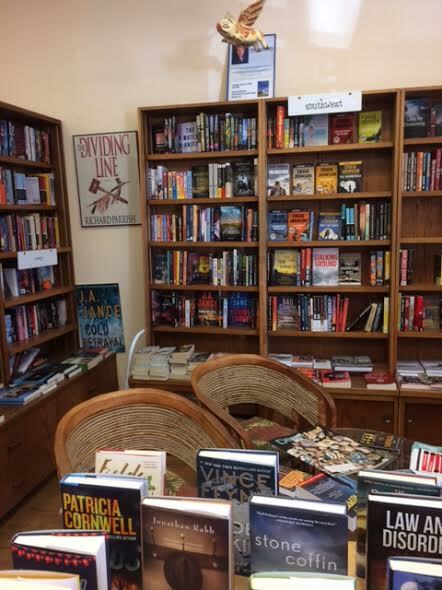 Then stop by Clues Unlimited for a gift certificate or hard to find mystery book. Chris, the animal-loving proprietor, also stocks cooking/craft books and animal books. 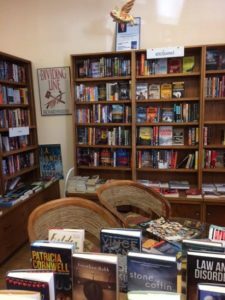 Ask Chris for some recommended reading and you’ll never go wrong with her picks. 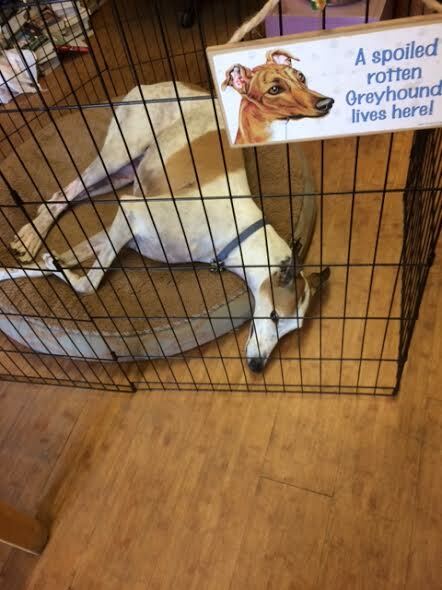 And Bosco the rescued greyhound oversees it all. Bracelets cost $20/no tax (cash or check payable to the charity of the month). In case you’re reading about the Beading Divas for the first time, the owner of Silver Sea is the reason we became who we are as back in 2008 Lizzie Mead’s two rescued greyhounds were in a hit-and-run accident and some of her fellow greyhound adopters got together to help her pay the $14,000 vet bill. 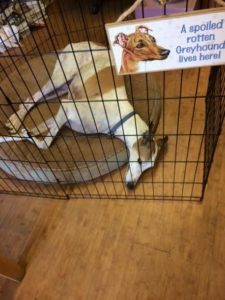 When the vet bill was paid off – we just kept going. 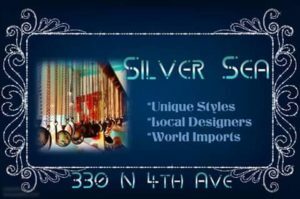 Silver Sea focuses on silver jewelry, mostly handcrafted. 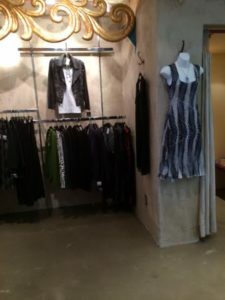 The store has a sea-wrecked shabby chic vibe with plenty of mermaid jewelry plus other dazzling items – charms, necklaces, rings, bracelets, gifts, earrings, etc. 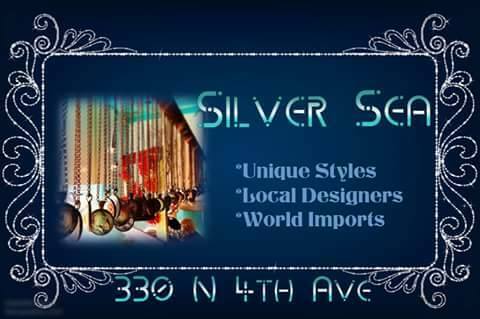 Silver Sea is located at 330 N. 4th Avenue on the modern streetcar route. For the month of December, we are fundraising for Escalante Springs Equine Rescue & Rehabilitation located in Marana.